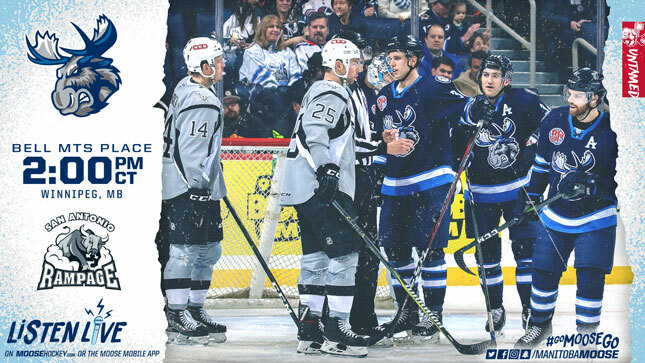 The Manitoba Moose (18-18-2-1) took out the San Antonio Rampage (21-19-1-0) 4-1 yesterday at Bell MTS Place. In today’s rematch, the Moose celebrate Star Wars Day. There are still some tickets available so stop by moosehockey.com/tickets/. The contest will also be available on moosehockey.com/listenlive/, the Moose App, and streaming live on AHLTV. The atmosphere will be out of this world at the rink today, with the universe of Star Wars being brought to life by costumed characters and a unique game day presentation. Fans can purchase specialty t-shirts being sold at the Bell MTS Place Jets Gear in support of the Children’s Wish Foundation, and there will also be a post-game Autograph Alley with select Moose players. The offence on Saturday started quickly, with Logan Shaw scoring the fastest goal in franchise history just 10 seconds into the action. Shaw’s tally was one second faster than Michael Grabner’s previous record. Hunter Fejes scored the game winner in the second frame, when Kristian Reichel sprung him on a breakaway. The goal was the first of the season for Fejes, who recorded his first assist of the campaign in the previous game against Milwaukee. The Alaska-born winger pointed out after the game the clubs leadership has directly helped the lineup develop scoring potential from all four lines. Another relatively new player, Brent Pedersen, gave Manitoba some breathing room by powering his way to the net and finishing his own rebound late in the third period. Head Coach Pascal Vincent explained being patient and using a designed counter attack was effective for his squad. 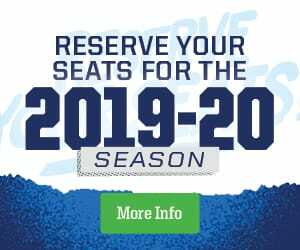 For tickets to tomorrow’s game, or any upcoming Moose home games, head to moosehockey.com/tickets/. Next up, the team heads on the road for their next six games starting Wednesday (Jan. 23) in Grand Rapids.